The team at Accord Aviation worked magic on the interior of this Cessna Citation 550 (variants include the Cessna Citation Bravo and Cessna Citation II). 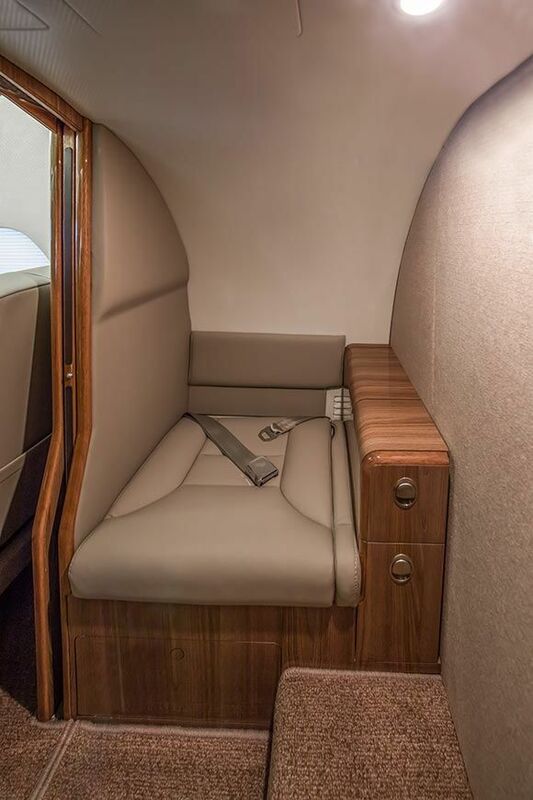 This Cessna Citation 550 interior was appointed with custom leather seating, new carpeting, and custom wood detailing throughout. 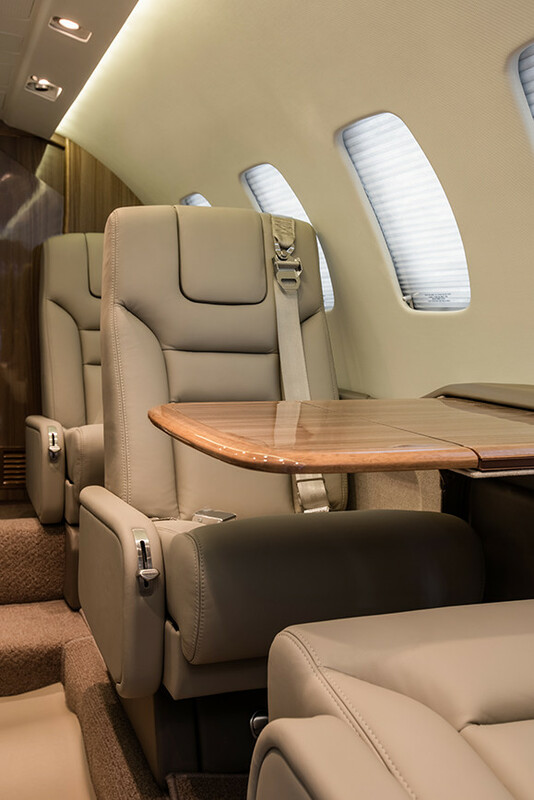 From design to installation, the team at Accord Aviation Interiors can completely overhaul your Cessna Citation interior, from a Cessna Citation I to a Citation V or Cessna Citation Encore. Inspired by our design work and craftsmanship? Contact us today to see what we can do for your Gulfstream interior. Explore an assortment of the full interior completions, including Gulfstream G200s, a Legacy 600, IAI Astra 1125, Bombardier Challenger, Citation 560, and many more. © 2017 Accord Aviation Interiors, LLC. All Rights Reserved.